Did you listen to Jeb Bush make his announcement yesterday? Did you hear loud cheers from a crowd that seemed excited at the prospect that there could be another Bush as President? Was I the only one confused? I don’t know one person who doesn’t threaten to leave the Country if it’s Bush vs Clinton for President again. 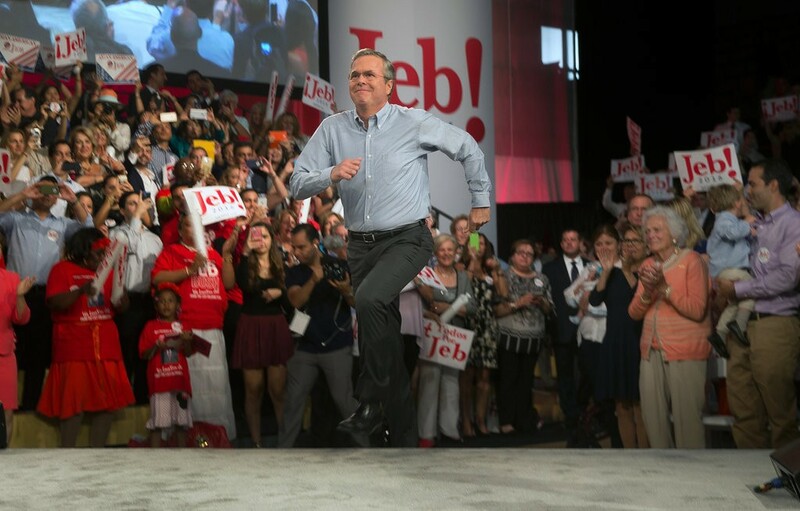 Can’t imagine folks actually excited and cheering for Jeb. It got me wondering, would someone like Jeb, or another candidate that’s been struggling like he has, hire a crowd? Pay people to attend their rallies to make them seem like they’re gaining in popularity? We have seen Hillary Clinton stage appearances, knowing ahead of time the people she’d interact with. Would a staged rally be out of the question for a struggling GOP candidate? According to “Crowds On Demand”, not at all. I sent Adam some more questions, but he has not responded. Apparently I’m not very good at this undercover stuff. Adam didn’t mention which election cycle he was talking about when he said “We’ve only worked with one (serious) presidential candidate thus far”. However, his website was only founded September, 2012. I can’t imagine he was up and running in time to get involved with Romney or Obama before the November election. So one would presume he’s talking about this election cycle. But who? One clue Adam gave us was when he stressed the word “serious” to describe the Presidential candidate they’ve worked with. We don’t know how he defines “serious” when talking about a candidate, but people who don’t follow politics too closely, might consider Clinton & Bush to be the only “serious” candidates, since they’re talked about most by the media. Regardless of who it is, the fact that this is apparently effective, is sad. As Adam said “they feel like they’re backing the right horse”. People would rather pick the perceived winner than the person who’s best for our country.